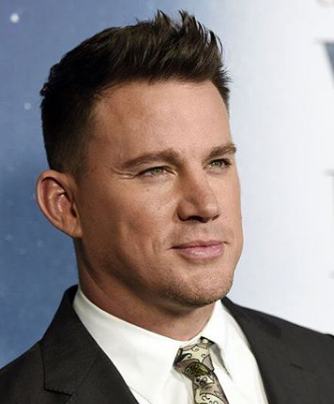 The well-known American actor is Channing Matthew Tatum. He is professionally known as Channing Tatum. He was picked as one of Tear Sheet magazine's "50 Most Beautiful Faces" of October 2001. In November 2012 he was named ‘People magazine's annual Sexiest Man Alive’. It’s been reported that newly single Hollywood actor Channing Tatum has a new girlfriend named British pop singer Jessie J. The news was exclusively revealed by US Weekly. The couple has been dating for a couple of months. Who i s Jessie J Dating? Where was Channing Tatum raised? Channing Tatum full name is Channing Matthew Tatum. He was born on 26 April 1980 at Cullman, Alabama, U.S. He was born to Kay Tatum who is an airline worker, and Glenn Tatum who worked in construction. He has a sister named Paige. He is mostly of English ancestry. His horoscope is Taurus. While growing up, he played football, soccer, track, baseball, and performed martial arts. He also practiced wuzuquan kung fu. He attended Gaither High School. In 1998, he graduated from Tampa Catholic High School. Later he attended Glenville State College. Tatum left the job of a roofer and began working as a stripper at a local nightclub. He later moved to Miami where he was discovered as a model by the model talent scout. Tatum’s height is 1.85 m and weight is 89 kg. His eye color is green and hair color is brown. Overall, he has a balanced and healthy body. He is associated with Ford Modelling Agency. In 2000, he was in the music video named ‘She Bangs’ which was cast by the dancer Ricky Martins. He even did modeling for Armani and Abercrombie & Fitch. In 2002, he did television commercials for Mountain Dew and Pepsi. He then signed to Page 305 which is a modeling agency in Miami. He was cast by Al David for Vogue magazine and soon after appeared in campaigns for Abercrombie & Fitch, Nautica, Dolce & Gabbana, American Eagle Outfitters, and Emporio Armani. He signed with Ford Models in New York City. In 2006, he starred in ‘She's The Man’ which was named the greatest modern Shakespearean remake by Business Insider. He then starred in Step Up, which was his breakout role. In 2008, he starred in ‘Stop-Loss’ and in ‘Battle in Seattle’. He also played in short film named ‘The Trap’. He as on ‘A Guide to Recognizing Your Saints’. In 2009, he played in the drama named ‘Public Enemies’. He played a soldier in Dear John, a Screen Gems film based on a popular Nicholas Sparks bestseller. He, his wife Jenna Dewan, and their production partner Reid Carolin signed a two-year production deal in 2010 with Relativity Media for any movies they may develop during that time. In 2012, he also hosted ‘Saturday Night Live’. 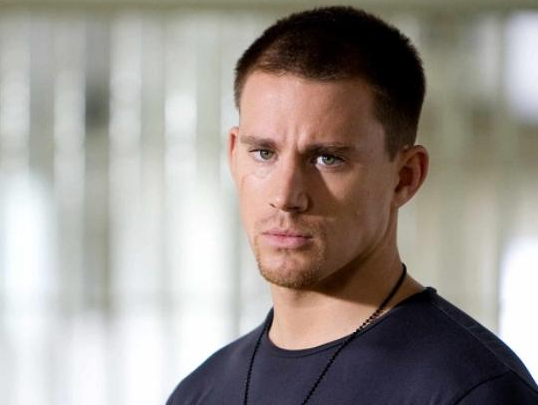 He also starred in the four films named ‘Haywire’, ‘The Vow’, ’21 Jump Street’ and ‘Magic Mike’. In 2013, he appeared in ‘Side Effects’. He reprised his role in ‘G.I. Joe: Retaliation’, the sequel to 2009's ‘G.I. Joe: The Rise of Cobra’. He also appeared in the movie named ‘White House Down’. He reprised his role from ‘21 Jump Street’ in its sequel, ‘22 Jump Street’. In 2014, he starred in ‘Fox catcher’. He will star as ‘X-Men’ character in a solo film, set within the ‘X-Men’ film universe, which he will also be producing. In 2006, he received ‘Special Jury Prize’ at ‘Sundance Film Festival’. In 2008, he won ‘Choice Movie Actor: Drama’ at ‘Teen Choice Award’. In 2008, he won ‘Choice Movie: Drama’ at ‘Teen Choice Award’. In 2010, he won ‘Choice Movie Actor: Action Adventure’ at ‘Teen Choice Award’. In 2012, he won ‘Choice Movie Actor: Comedy’ at ‘Teen Choice Award’. In 2015, at ‘MTV Movie Awards’ he won ‘Best Comedic Performance’. In 2016, at ‘People's Choice Awards’ he won ‘Favorite Movie Actor’. Who was Channing Tatum's wife? In 2006, Tatum met Jenna Dewan. They got married on 11 July 2009. They married at Church Estates Vineyards in Malibu, California. They have a daughter named Everly Elizabeth Maiselle Tatum who was born on 31 May 2013, in London. But nearly after nine years of marriage, the couple announced that they were separating. Then recently, he has been dating British pop singer Jessie J. They have been spotted at Jessie’s October 6 concert in Seattle. They were spotted at a mini-golf course together in that same city and other low-key appearances popped up on social media around the same time. The well-known actor’s net worth is estimated to be $60 million. He has done a great hard work to reach this point. He is a strong supporter of 'DaisyCares.com' which is a charity for domestic animals.